How does a Bloody Mary Shooter sound? Or Mini Crab Bites? Crispy Grouper Burger (fresh from Aruban waters)? Lobster and Crab Mac and Cheese? Low and Slow Garlic Pork? Belgian Waffle Sundae? I’m pretty sure I heard a chorus of “Delicious!” Does it also sound fun, fresh and fashionable? 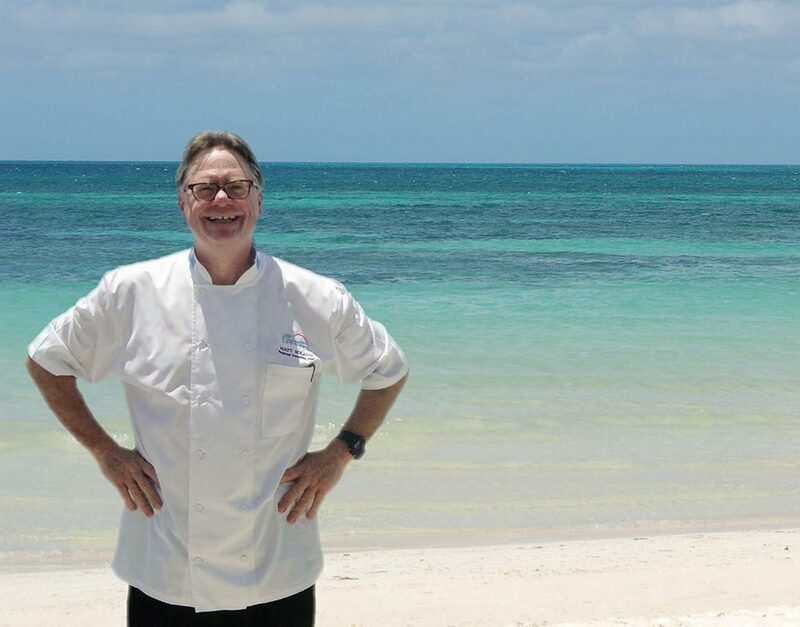 That’s exactly what Matt Boland, the newly hired regional executive chef for Divi Resorts, is aiming for at all the Divi restaurants. He calls it “five star food, fashioned from old favorites.” You can’t go wrong with favorites, especially if the gastronomic tweaks are fresh and healthy ingredients and a burst of flavors culled from the Caribbean mélange of cooking cuisines. Meet our Chef Matt. His story is the classic Hollywood feel-good script of someone working his way up from the bottom rung all the way to the top. It’s a true tale of triumph, going from lowly dishwasher to award-winning head chef (with a grueling stint in Paris spent learning to master the art of French cooking, which he achieved, as evidenced by his many accolades and awards). Matt officially joined Divi Resorts earlier this year to work his wizardry on Divi’s restaurants – more than 20 at last count – devising new menus and dining concepts. He is a nonstop fount of innovative and great recipes. “Exuberant” is an adjective universally used to define him, and it’s a fitting descriptor for his food, too. Stay tuned for more food news. (Hint: New menus, starting in November.) Better yet, come eat! You’ll be dazzled by the delicious changes at Divi. Previous PostMy Diving Experience at Divi FlamingoNext PostJust wait till you taste what this guy is cooking in Barbados! Meet Chef Henderson Butcher.